We are proud to announce that mega yacht NERO and Luxury Projects have been shortlisted in the Power Yacht over 80 Metres, Interior Design and Master Cabin Award categories in the prestigious International Yacht & Aviation Awards. 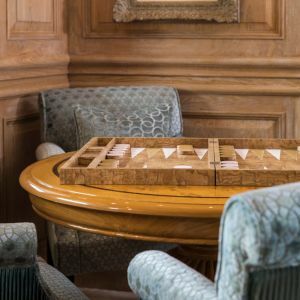 LUXE ET AL a luxury publication that reviews and celebrates the design and development of award-winning projects, holds an annual competition to reward outstanding design and the talent behind these designs. Now with more categories than ever before, the International Yacht & Aviation Awards reflect the growing interest in the exclusive Yachting and Aviation industries. Luxury Projects, a prominent architecture and design studio, with many award-winning design schemes under their belt, were appointed as the main interior designer for NERO's extensive refit project by bluewater in 2016. After a prolific 9 months and a hugely successful refit, we are proud to announce that Luxury Projects and super yacht NERO have been shortlisted within the Power Yacht over 80 Metres, Interior Design and Master Cabin Award categories. 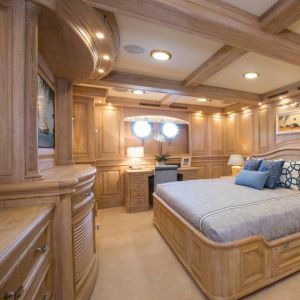 The aim from the start was to update and freshen up the interior of the yacht with an entirely new palette throughout. The owners were very specific and requested that the overall style and comfort level of NERO was to be respected in its entirety. 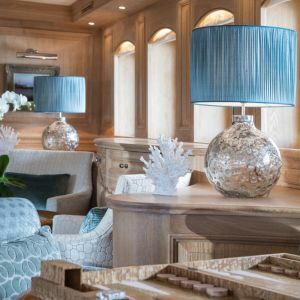 Every single element on board, such as lights, fabrics, decorative accessories and art were selected to strike a balance between the old and new and at the same time create a more contemporary yacht. 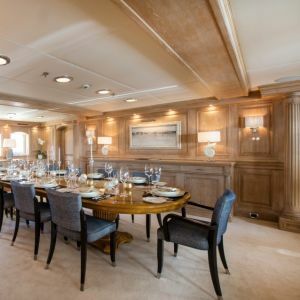 The Bluewater Project Management team were specific in what they were to achieve: “We wanted to take this iconic yacht based on the JP Morgan Corsair series of the 1920s and give it a contemporary, state-of-the-art upgrade. 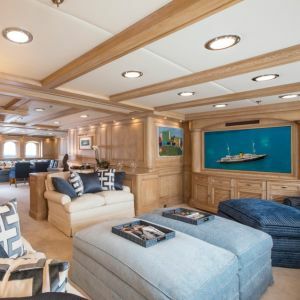 She is one of the only superyachts with a black hull, and we have kept this standout feature so that she maintains her regal façade whilst recovering her gold and cream superstructure. 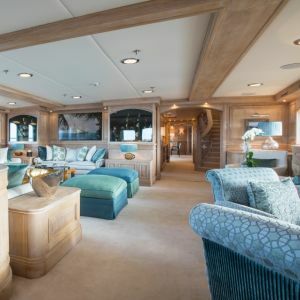 NERO has always been amongst the most recognisable yachts around and will continue to turn heads with her new 'facelift'. 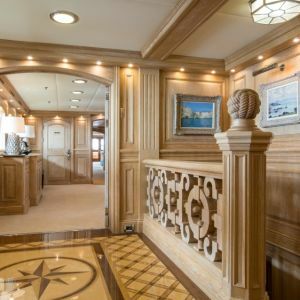 According to the Founder & CEO of Luxury Projects, Laura Pomponi: "The secret to a successful refit project is a professional design approach, guided by superyacht construction knowledge, combined with precise and organized management of expectations. Design, architecture, quality, management, competitiveness and, above all, working to a tight schedule." The winner will be announced at the International Yacht & Aviation Awards at the glamorous Hotel Cipriani in Venice on 19 May 2017. 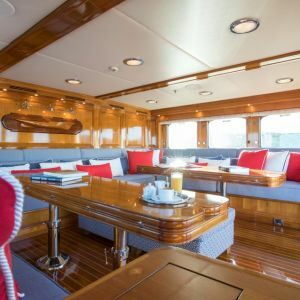 NERO is for charter through bluewater.